Pros: Colour, motorbikes, planes . . . and a massive pile of rubbish onstage. If that isn’t enough, the storyline is magnificent, the directing flawless and the acting superb. Cons: There aren’t many, although if monologues in small theatres are your thing, this might not be for you. A plane takes off onstage. Tons of empty plastic bottles fall from the sky. A real motorbike enters the scene. At this point, a lot of questions begin to crowd my head. 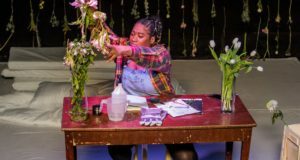 How can the emotions of a whole community be conveyed onstage, from joyful playfulness to pitch-dark desperation, from hope to anger, love, lust, jealousy, fear and ambition? How can the lives of an entire city possibly be depicted? Every night it leaves an audience of a few hundred gasping in horrified awe. How can they be sent home wiser than before? This magnificent play by David Hare, a production by the National Theatre in association with Scott Rudin, definitely hits the spot. 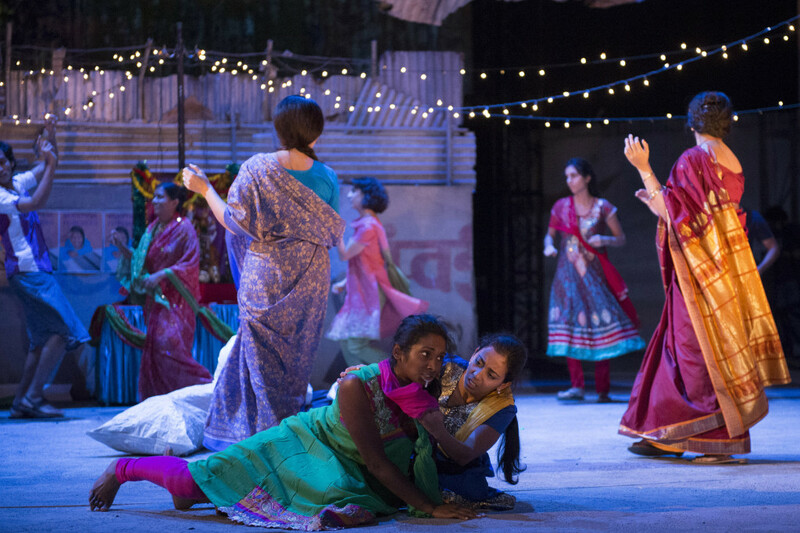 The play is based on the 2012 Pulitzer Prize winning book by New York journalist Katherine Boo, who spent three and a half years observing and recording life at Annawadi, a slum sprawling around the five star hotel Hyatt at Mumbai Airport. This extraordinary book describes her immersion in the daily life of a slum without prejudice, fake heroes or hidden agendas. 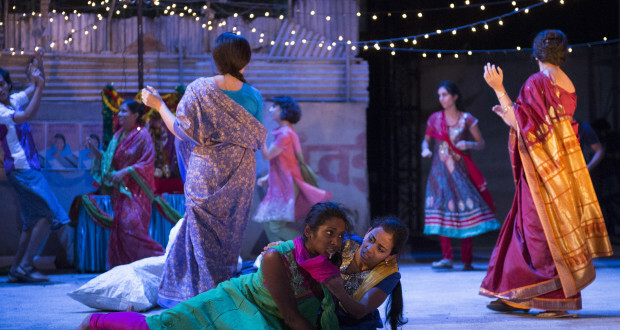 The play is also extraordinary: many characters are played in parallel stories, but still everything is connected and the pulse of the whole world seems to beat through Annawadi. Heroism streaks through every story. From Manju (played by the impressive Anjana Vasan) the teacher’s daughter, who reads her copy of a Virginia Woolf novel and learns it by heart, to Fatima, who sets herself on fire to accuse her neighbours but leaves her daughters orphaned behind. As India marches towards greater prosperity, those living in the margins of society still define the spirit of a nation that is trying to reinvent itself. Yet in Annawadi, as in any city slum, your position in society depends more on the jealous neighbour who hasn’t reported you to the corrupt police officer, or the illness you haven’t yet caught than you yourself. As Sunil Sharma (Hiran Abeisekera) leaps to his dreams across a whirlpool of river rubbish, it is clear that the dawn of a new era is setting on India. Whatever the trick, it worked its magic. Of course, the NT might have helped more than a little . 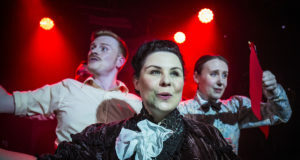 . . a 30-strong cast, moving stages, rumbling planes, live engines and piles of rubbish showering from the ceiling certainly added to the atmosphere. But the beauty of this production does not come exclusively from the design and special effects. The audacious direction, passionate acting and inspirational words all play a part. This is an impressive production. Unmissable.